Egidijus Kūris (b. 1961) has graduated from Faculty of Law, Vilnius University in 1984. Since then, he has been doing research and teaching––at Vilnius University––theory of law, constitutional law, sociology of law, political theory and related subjects. Mr Kūris received his Ph.D. in law from Moscow State University in 1988, and has been on scholarships in universities and other scholarly institutions in the U.S.A., U.K., the Netherlands, Sweden, Belgium, and Norway. Mr Kūris authors numerous academic publications, including co-authorship of the leading textbook on the Lithuanian Constitutional Law (1st edn 2001, 2nd edn 2002) and the voluminous book Constitutional Justice in Lithuania (2003). He has translated, into Lithuanian, several leading legal and political science treatises, including major works by H.L.A. Hart, Hans Kelsen, and Giovanni Sartori. 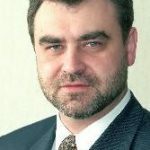 In 1992–1999, Mr Kūris was the founding Director of the Institute of International Relations and Political Science at Vilnius University (the first political science institution in Lithuania), and in 1995–1998 he was the President of the Lithuanian Political Science Association. From March 1999 till March 2008, Mr Kūris served as the Justice of the Constitutional Court of the Republic of Lithuania, and in April 2002–March 2008 he was the President of this Court. In this highest judicial capacity, Mr Kūris has contributed extensively to development of Lithuanian constitutional jurisprudence. In May 2005–March 2008, he was also presiding at the Conference of the European Constitutional Courts. He has received state awards of Belgium, Hungary, Germany, Romania, and Poland, as well as Lithuania. Currently, Mr Kūris is the professor and the head of the Department of Public Law of the Faculty of Law and the professor of the Institute of International Relations and Political Science, both at Vilnius University.